Barley has been enjoyed since the Stone Age in everything from cereals and breads to soups and pilafs. When malted, it even serves as an integral ingredient in beer and whiskey. 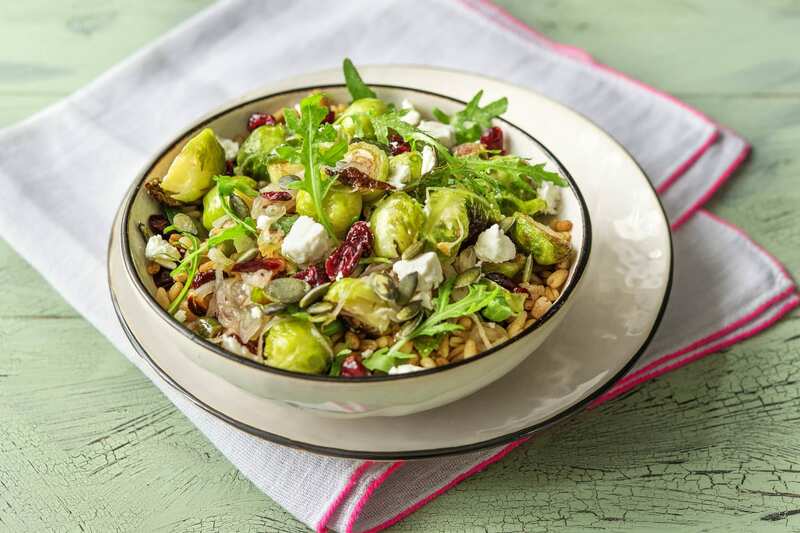 In this recipe, the chewy grain bulks up this veggie bowl and serves as the base for crispy roasted Brussels sprouts, crunchy pepitas, sweet cranberries, and tangy feta. Wash and dry all produce. Preheat oven to 400 degrees. Place barley in a medium pot with a large pinch of salt and enough water to cover. Bring to a boil and cook until tender, about 25 minutes. Drain. Halve, peel, and thinly slice shallot. 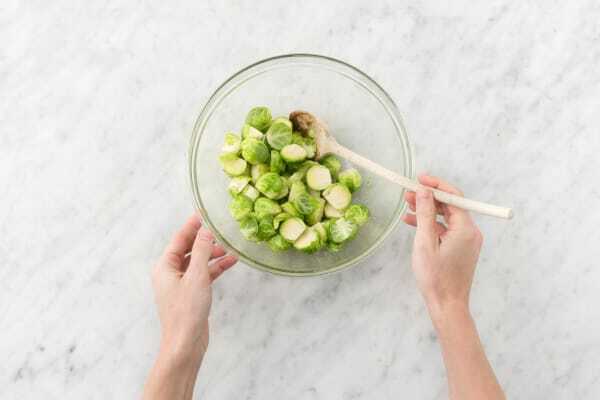 Trim and halve Brussels sprouts through the stem. Heat a large ovenproof pan over medium-high heat. 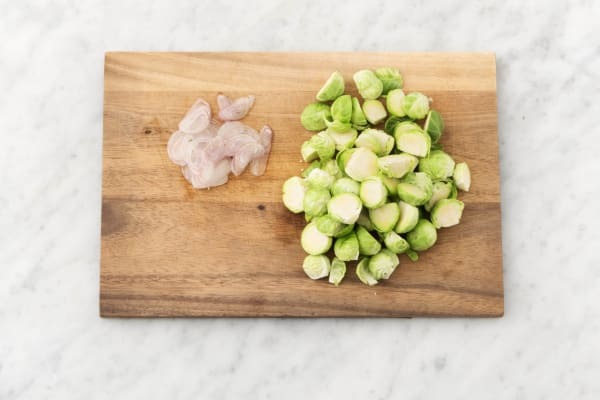 In a large bowl, toss Brussels sprouts with 1 TBSP olive oil, salt, and pepper. 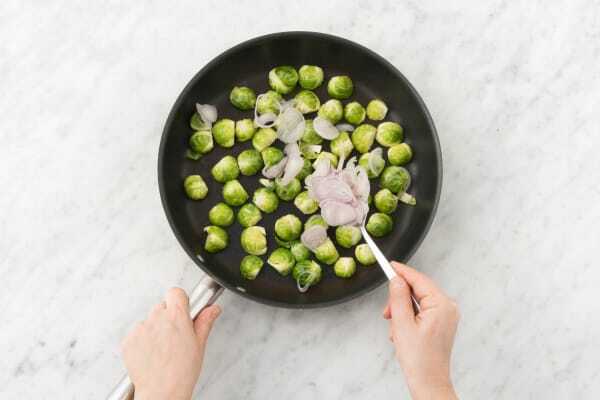 Place Brussels sprouts cut side down in one layer in pan. In same bowl, toss shallots with a drizzle of olive oil and a pinch of salt and pepper. 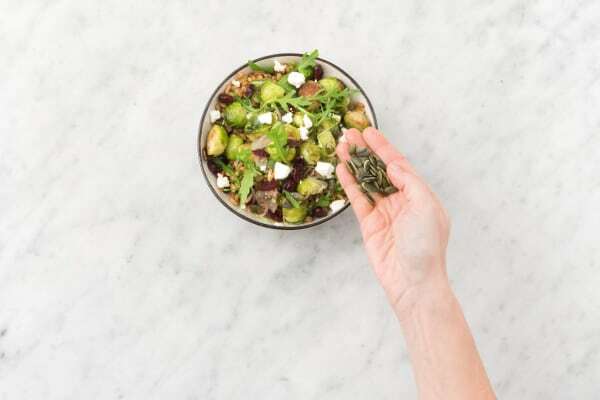 Sprinkle shallots on top of Brussels sprouts. Cook (without stirring) 3 minutes. Transfer pan to oven and roast until sprouts are tender, 8-10 minutes. 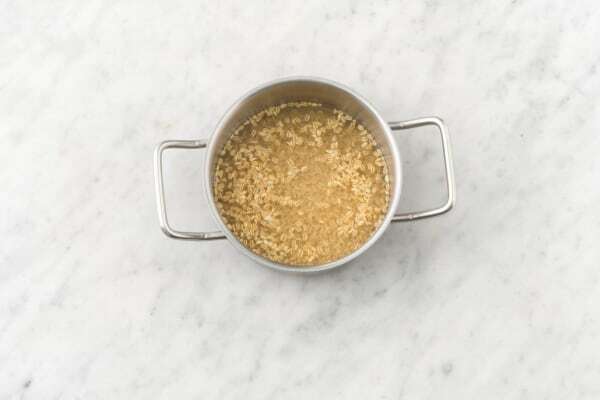 In a large bowl, whisk together 1 TBSP balsamic vinegar, 1 tsp honey, and 1 TBSP olive oil. Toss in drained barley, arugula, and half the cranberries. Toss to combine and season to taste with salt and pepper. Plate barley salad and top with Brussels sprouts, shallots, feta, pepitas, and remaining cranberries.